Saturday, October 25th is #PinkDay at Waldorf Ford! Join us Saturday, October 25th, 2014 for #Pink Day at Waldorf Ford! If you visit us during business hours and wear pink you will receive a FREE GIFT! Plus every vehicle purchased during this time we will donate $50 to the Johns Hopkins Cancer Research Center! Join Waldorf Ford, Saturday, October 25th, 2014 for #PinkDay to show support & help raise awareness and funds for Breast Cancer Issues. Here are some photos from last year’s #PinkDay at Waldorf Ford! Leading up to the 2015 Ford F-150 Drive the Future of Tough Event at Waldorf Ford on Friday, November 7th , 2015 from 5:30 PM to 8:30 PM one of our Sales Managers had the opportunity to test drive and experience the Brand New 2015 Ford F-150 in Las Vegas, Nevada for the Annual Ford Dealer Meeting. Look below to see exclusive photos of the Brand New 2015 Ford F-150 and read our Sales Manager Thomas’s experience! I had the opportunity to sit behind the wheel of a 2015 F-150 King Ranch earlier this month. Loaded with cameras and LED lights to enhance my overall experience, the new F-150 was everything I expected it to be and more! Its ride was smooth and quiet. Coming in at 700 lbs lighter than the previous F-150’s, I expect to be able to tow/haul more than I ever have and I will be surprised if my fuel economy does not improve drastically. The F-150 has been America’s best-selling truck for 37 years but it feels like Ford is just getting started! Waldorf Ford is located at 2440 Crain Highway in Waldorf, MD 20601. Visit us online at www.waldorfford.com or call 301-843-2400 for more information! -Exciting test-drive fundraising event will generate much-needed money for the enhancement of technology within the school, helping support the local community. 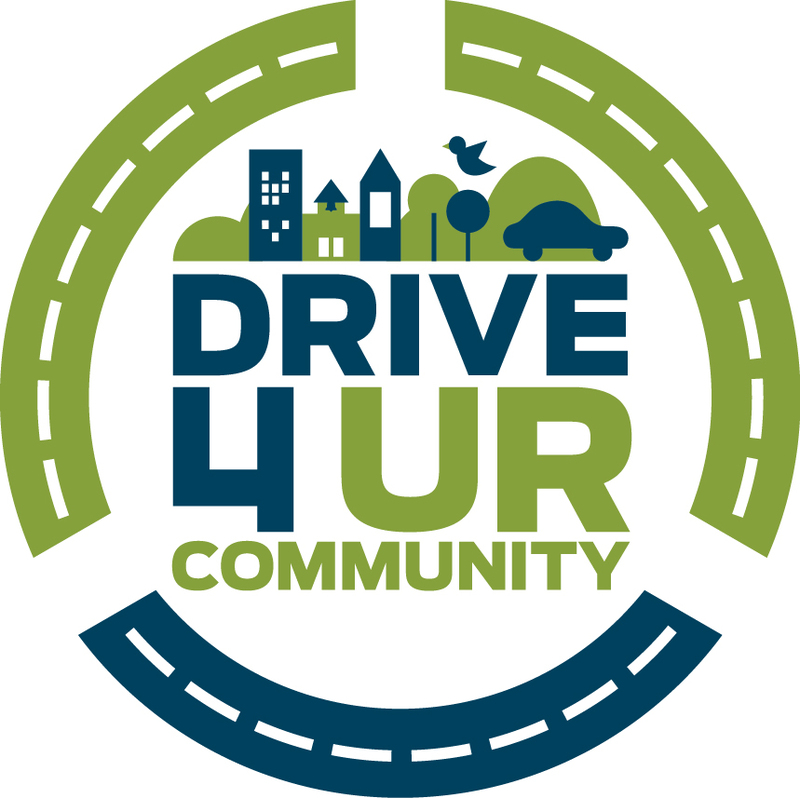 WALDORF, MARYLAND – Ford Motor Company and its dealers have launched a new program called Drive 4 UR Community, which is designed to help raise much needed funding for local community groups and nonprofit organizations. Drive 4 UR Community is very similar in concept to Ford’s successful Drive 4 UR School initiative, which has raised more than $20 million for local schools since its inception in 2007. 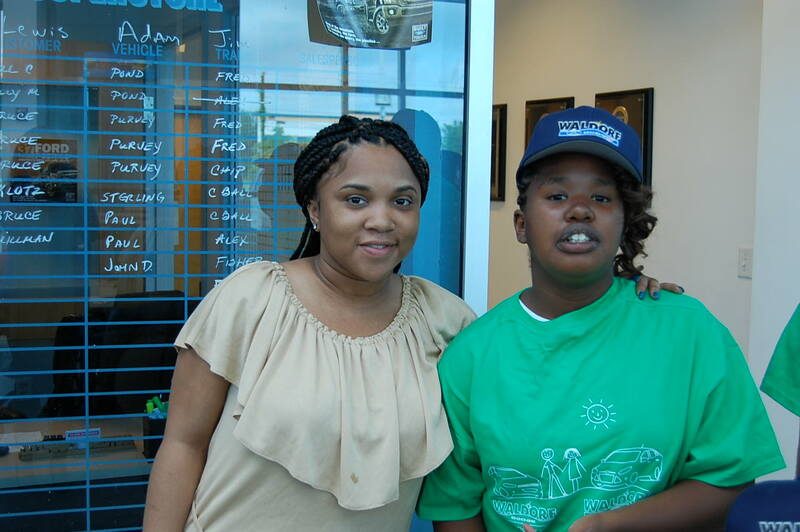 Waldorf Ford is bringing Ford Motor Company’s Drive 4 UR Community program to the Owings, Maryland community in an effort to raise up to $6,000 for Mt. Harmony Elementary PTA. 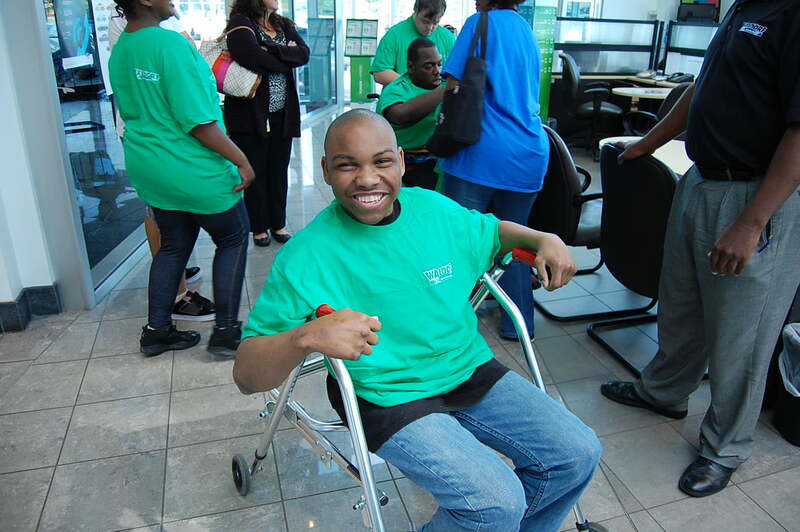 For every person who takes the wheel and test-drives a new Ford vehicle at MOUNT HARMONY ELEMENTARY SCHOOL 900 WEST MOUNT HARMONY ROAD, OWINGS, MD 20763 on Saturday, September 6th, 2014, WALDORF FORD and Ford Motor Company will donate $20 to MT. HARMONY ELEMENTARY SCHOOL’S PTA the funds will go toward the enhancement of technology within the school. The event, which will be held from 10 AM to 2 PM, will feature many vehicles from Ford’s impressive line-up. “Whether you are looking to test out our fuel efficiency vehicles, like the Fusion or Focus, or are more interested in an electric vehicle, like the C-MAX, we will be able to put you behind the wheel of your favorite Ford vehicle,” said Greg Basiliko. Dealership staff on site will be able to assist with all Ford vehicles and provide additional information about each vehicle available for test-drive. 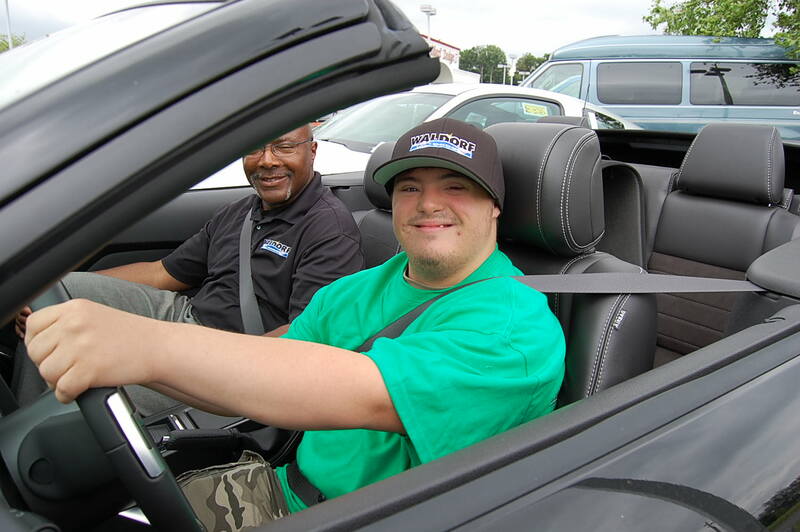 To participate in this exciting event and get behind the wheel of your favorite Ford vehicle, please visit 900 West Mount Harmony Road, Owings, MD 20768 between 10 AM and 2 PM on SATURDAY, SEPTEMBER 6TH, 2014. For more information visit http://www.waldorfford.com! Editor’s Note: Welcome our guest blogger Keith Wright! He is a Sales Consultant here at the Waldorf Ford , located in Waldorf, Maryland. Although Dr. Keith Wright has been with us for only a year he is a great resource for all your vehicle buying needs because of his experience in education, performance, and research. 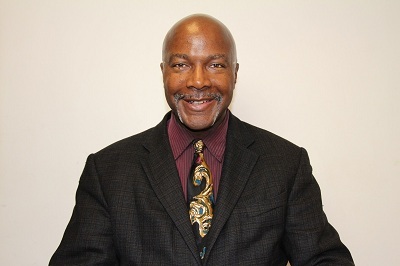 Originally from Dayton, Ohio where his family still resides, Dr. Wright is not only a student of the Automotive business but he has multiple degrees in music from the University of Cincinnati and a doctorate from the University of Kansas. Currently he is a faculty member at the College of Southern Maryland. There you can see him perform in the CSM’s Latin Ensemble, Ritmo Cache and in the Afro-Cuban Ensemble, Ban Caribe (He is a Flutist). Dr. Wright stays busy with music, software such as Labview, an in Architecture. As you will see in his blog, Keith shows true dedication and heart in everything he does and incorporates the humanities, education, and music into his daily work. 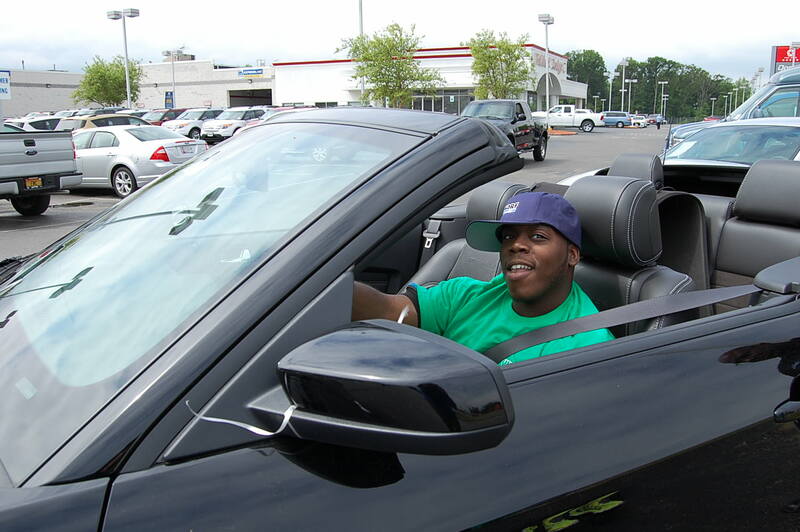 Keith also prides himself on providing his customers with the Best Sales Experience. When asked what his personal philosophy about working with customers he states “I treat customers with the same level of professional service as I expect if I were purchasing a vehicle.” He also states that he has learned a lot about resilience in the automotive industry and that “Tough times don’t last. Tough people do.” So if you are looking for a vehicle at Waldorf Ford Dr. Keith Wright is the (W)right Guy for your Automotive needs. In this picture General Sales Manager Allan Levi and Students from Aaron’s Hope. 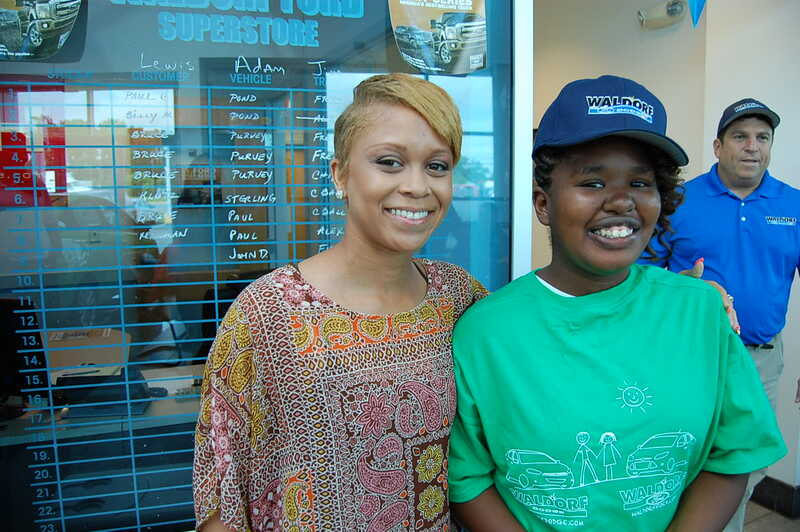 On Thursday, June 5th Waldorf Ford had a scheduled visit from Aaron’s Hope. Finance Manager Marsha Johns greets the visitors! Aaron’s Hope, Inc. (AHI) is a 501-c3 non-profit organization that provides a 365 day-year round academic and vocational program to prepare its target population for gainful employment within the workforce. Residential support is provided within a community setting for people with autism and to encourage greater levels of independence by helping each resident maximize his/her highest potential. Internet Sales Consultant Jazmin Walker visits with the students. The students attend Stethem Alternative High School in Charles County. CEO, Adraine McCann organized the visit. The visit represents Waldorf Ford dedication to excellence and promoting inclusiveness to all individuals in the community. This provided an opportunity to meet and greet key Waldorf Ford personnel, explain their role and our processing of customers, tour the facility, and see our large inventory of vehicles. Waldorf Ford is located at 2440 Crain Highway in Waldorf, MD 20659. We can also be reached at 301-843-2400 or online at http://www.waldorfford.com. WALDORF FORD, MD, 2014 – The all-new 2015 Ford F-150 has already scaled the highest points of the Continental Divide and experienced the most extreme weather conditions as Ford has set out to engineer its toughest truck yet. Before the first 2015 F-150 rolls off the assembly line, it will have been subjected to 10 million miles of combined real-world and simulated durability testing. The new F-150 towed trailers over mountain passes in temperatures above 120 degrees, withstood frame-punishing terrain on an off-road course and conquered a frozen lake at minus 40 degrees. It endured high-humidity chambers, salt vats and riverbeds. The F-150 towed heavy loads up grueling, steep roads. Robots slammed its doors and tailgates, and dropped heavy objects onto the bed of the truck. It persevered through twisting and shaking from multiple directions. Seven-channel input: Ford built a special torture rack that violently twists and shakes the truck seven ways – simultaneously – for five days, simulating the equivalent of 225,000 miles. This testing isn’t random. After running a fully instrumented truck through durability courses, engineers recorded the forces the road surface put on various vehicle components. Those forces are replicated in seven channels – four up and down, two side to side and one lengthwise down the center. The frame and body are stressed to see how well the truck performs in situations that might bend the frame. Silver Creek: The famous Silver Creek durability course in Romeo, Mich., combines two extremely rough roads. One section of the route has 15 distinct types of chuckholes, while the other is made from broken pieces of concrete. Test drivers beg off this route after one pass because the pounding and speed is so intense. Imagine hitting a crater-sized pothole every five feet for miles – going 20 mph. With this road surface, 500 miles is equal to 20,000 miles on the country’s roughest roads. Power Hop Hill:This washboard Ford test track in Romeo was created to replicate a steep, off-road dirt trail in the Hualapai Mountains of northwest Arizona. The severe 11 percent grade – steeper than the final section of most ski jump ramps – stresses engine and transmission components when the wheels lose contact and then return to the surface. Drum drop: Ford engineers dropped 55-gallon drums into the bed of the truck on an angle, making sure all of the force came down on the sharp rim of the drum. Engineers in Dearborn, Mich., then measure the impact and make adjustments until the cargo box floor is suitably tough. Corrosion bath: The 2015 F-150 is the first high-volume vehicle with a high-strength steel frame, and body panels made of high-strength, aluminum alloy – the same material used to make armor-plated tanks and navy warships. An advantage aluminum has over steel is that it doesn’t produce red rust. So Ford had to go beyond the usual tests that include driving vehicles through countless salt baths and soaking them in high-humidity chambers. The company developed a modified corrosion test using an acidified spray to be more aggressive on the high-strength, aluminum alloy. After simulating 10 years of exposure, the aluminum material showed virtually no signs of degradation. Davis Dam: Run a half-marathon at Olympic-sprinter speed while carrying a 600-pound duffel bag in 120-degree temperatures. Then do it 250 more times. That’s the Davis Dam durability route that stretches from just outside Bullhead City, Ariz., to the top of Union Pass. The F-150 climbed for 13 miles at posted speeds (varying from 35 mph to 65 mph) while pulling maximum trailer loads and running the air conditioning full blast in the heat of an Arizona summer. Stone Peck Alley: There’s a special place in Romeo where paint jobs come to prove their mettle while testers work to protect the metal. To test paint for the all-new F-150, engineers drove the truck 150 miles over gravel roads, then another 150 miles over pellets of extremely jagged scrap iron that is first passed through a blast furnace. Oversized tires spray the stones and scrap iron at every surface of the truck. Engine thermal shock: F-150 engines are first placed in a special cell and hooked to equipment, called a dynamometer, which simulates pulling a heavy trailer at full throttle up a steep grade. Next, thermal shock testing takes engines from the coldest polar vortex to extreme heat in just seconds. The engine coolant and oil are quick-cooled to minus 20 degrees in as little as 20 seconds, then the engine runs at maximum powerwhile coolant and oil temperatures stabilize, first at 230 degrees and then at 270 degrees, before being chilled again. This process is run 350 times over more than 400 hours to prove the durability of the engine block, seals, gaskets, cylinder heads and liners. Rock and stop: Serious off-roaders navigate difficult terrain using the same drive/reverse/drive technique many drivers use to get unstuck from snow. Ford performs 500 aggressive starts on a stand specially designed to torture rear axles. The stand creates impacts at nearly 2,000 lb.-ft. of torque. This is more torque than the truck is capable of making – 130 percent more and then some – just to be certain the rear axle and all of its parts can withstand the abuse. Twist ditch: F-150 customers need to trust their trucks in off-road terrain. The twist ditch is a set of parallel dirt mounds built to create a situation in which one front wheel hangs in the air while the opposing rear wheel leaves the ground repeatedly. Only two small patches of rubber are left to make contact with a slippery surface and maintain traction. These ditches can put incredible stress on the truck’s body and frame. Waldorf Ford is located at 2440 Crain Highway in Waldorf Maryland. We can also be reached at 301-843-2400 or online at http://www.waldorfford.com. THE MEMORIAL DAY EVENT STARTS THIS FRIDAY, SATURDAY, AND MONDAY! Get the Best Deal of the Year! Three Days Only at the Memorial Day Event at Waldorf Ford, Waldorf Dodge, and Waldorf Ford Preowned Center! We are giving away $5,000 IN CASH and dozens of other gifts! FRIDAY, SATURDAY, AND MONDAY MAY 23 TO THE 26TH! THE DEALS ARE TOO GOOD TO BE TRUE! THE MEMORIAL DAY EVENT AT WALDORF FORD, WALDORF DODGE, AND WALDORF PREOWNED! ON ROUTE 301 NORTH!